As water quality becomes a leading concern for people and ecosystems worldwide, it must be properly assessed in order to protect water resources for current and future generations. 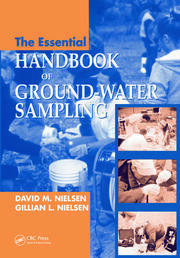 Water Quality Concepts, Sampling, and Analyses supplies practical information for planning, conducting, or evaluating water quality monitoring programs. It presents the latest information and methodologies for water quality policy, regulation, monitoring, field measurement, laboratory analysis, and data analysis. 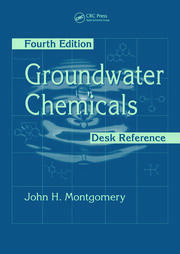 The book addresses water quality issues, water quality regulatory development, monitoring and sampling techniques, best management practices, and laboratory methods related to the water quality of surface and ground waters. 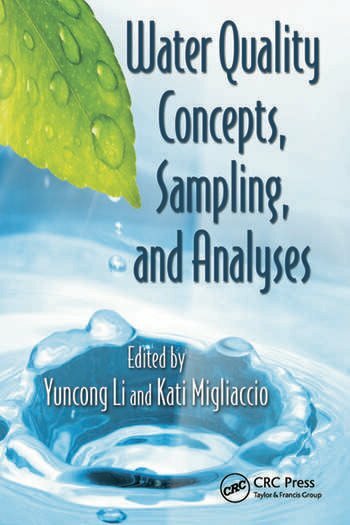 It also discusses basic concepts of water chemistry and hydrology related to water sampling and analysis; instrumentation; water quality data analysis; and evaluation and reporting results. Discussing an array of water quality topics, from water quality regulations and criteria, to project planning and sampling activities, this book outlines a framework for improving water quality programs. Using this framework, you can easily put the proper training and tools in place for better management of water resources. Surface Water Quality Sampling in Streams and Canals, Kati W. Migliaccio, Daren Harmel, and Peter C. Smiley, Jr.